UEFA Champions League winner FC Barcelona will play against Sevilla FC for the Super Cup in Tbilisi, Georgia, on 11 August. 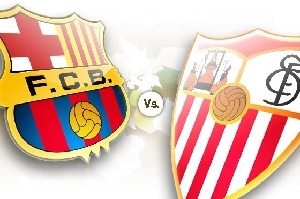 This is the third all-Spanish UEFA Super Cup after 2006 and 2014 and Sevilla is involved in all of them. They have one win and two losses. The win was against the same opponent they are meeting in a few days and it ended with an over. With Barcelona expected to win this one. the odds are very tight and finding a real value might be difficult in this game. The last five meeting between these two were overs. This is probably the reason for the low odds, but I think it is the most secure and reasonable bet.